Located in Mauritania, the National Park of Banc d’Arguin covers 12,000 km2, an area comparable to the territory of the Gambia, or 5 times the size of Luxembourg! Half land, half sea, the park is classified as a world heritage site by UNESCO, and is one of the most important in Africa. Dunes, mangroves, mud flats, reliefs or sand plains, the fascinating diversity of the Banc d’Arguin’s landscapes abounds with animal life. The Park is home to over 2 million migratory birds from northern Europe. The Banc d’Arguin waters are some of the world’s richest fish waters. This rich biodiversity has been preserved thanks in particular to the Imraguen community, the fishing peoples inhabiting the Banc d’Arguin for centuries and the only authorized to use the Park’s natural resources. They are the guardians of the Park. They founded the Association of Friends of the PNBA to defend the totality of the Park’s natural resources and its ecosystems, threatened by overfishing, human development and climactic changes. They like to pass on their traditional values and knowledge to their children to enable them to become the future guardians of the Park like their ancestors for centuries. Therefore, for the first time, the Imraguen are organizing this year a summer camp for their children called "the blue tent" - "khaimaazrakh" offering them the discovery of the Park’s littoral. Of the 1,500 inhabitants of the Park only the 10 children with the best score in the annual awareness environmental program will be invited to the summer camp as a reward for their performance. During 10 days of games and workshops the children will discover the rich fauna and flora of their home environment. But the real novelty of this summer camp will be a photojournalism workshop co-organized with the French wildlife photographer Jean Francois Hellio. This workshop will be the highlight and the innovative activity for the children, combining the traditional values and knowledge of the Imraguen with multimedia tools. In this way the children will become photojournalists of their day to day life within a protected site: through images they will showcase their own “view” on the Park’s biodiversity and the challenges to protect it. Thanks to your donation we will purchase digital cameras needed for the photojournalism workshop. In addition to cameras, your donation will also enable us to acquire the needed solar chargers for recharging cameras as our villages have no access to electricity. The cameras will enable us to continue our photojournalism work learning by playing. Thanks to your donation we will learn to better know our natural heritage of the Banc d’Arguin, which we commit to protect as our ancestors did for us. During the month of September 2012, a summer camp was organised for Imraguen children by the International Foundation of the Banc d’Arguin (FIBA) in partnership with the National Park of Banc d’Arguin (PNBA), Photographers for the Planet (PPP) and the Association of Friends of the Banc d’Arguin (AABA) supported by the German Agency for International Cooperation (GIZ) and Ecofund. The summer camp took place in the National Park Banc d'Arguin (the PNBA) in Iwik village where 10 children (girls and boys) from 4 different villages (Iwik, Mamghar, Rgueiba and Teichott) were chosen to participate. This initiative was a follow-up of the awareness program on the environment "Discovering the landscapes of the PNBA" in the Turing project. This program took place during the 2011-2012 academic school year in the four schools in the PNBA covering the villages of Iwik, Mamghar, Rgueiba and Teichott. About 100 children benefitted from this program where several themes were taught (fauna and flora, human activities and the environment etc.) with the aim of getting the children to appreciate the natural and cultural richness of their heritage. It was the first of its kind in the PNBA and provided the occasion for the children to, concretely, practise the activities that they undertook during the PNBA landscapes discovery program. Even better, it was also the occasion for introducing photojournalism training. This training was facilitated by Jean François Hellio. It was, firstly, to help Imraguen children discover the richness of their landscapes through photography, and then, secondly, to produce young photojournalism champions involved in conserving the natural and cultural heritage of the PNBA. During 10 days, the children learnt how to use a camera and how to take pictures as well as how to write corresponding captions for the pictures. Each child also received a pair of binoculars for bird-observation activities. In addition to the photojournalism training and bird-observation activities, the children participated in various enriching activities such as waste collection and disposal, outings to the sea to discover line fishing and a visit to the Island of Nair to learn about the issue of climatic changes. The benefits of this summer camp can be evaluated at different levels: human, informative and environmental. From a human angle, 10 children living in the PNBA who come from different villages met for the first time, mingled and created friendship ties. On the informative level, the children acquired some useful tools that they could later develop if they so wish. Amongst these are techniques for using a camera and for taking pictures, basic drawing skills and the right attitudes and tool needed for bird-observation, for example. On the environmental level, the summer camp helped the children to have a different perspective on their environment and to understand the importance of protecting this latter. In all, the summer camp is a project that can be appraised on two levels – short-term and long term. In the short term, it helped in arming 10 children with different tools, teaching them different subjects and helping them to understand the different issues that presently stall conservation efforts. In the long term, the summer camp would have fulfilled the wishes of all the persons that directly or indirectly participated in this great initiative – to produce champions in the service of conservation efforts in the PNBA ecosystems, and future adults capable of defending their protected environment. This wish could well come true through a follow-up on this young reporters because in 10 days, these children made astonishing progress ; from discovering a camera to capturing successful images just like true photojournalists. Enjoy some photographs of our young photojournalists ! During the week of 5th to 14th November 2012, a mission was undertaken to give out certificates to the children who participated in the summer camp as proof of their participation in the photojournalism training. At this occasion, each child was asked to cite three things that impressed him/her during the camp. 3. learning to observe birds. 3. learning how to use binoculars. 3. appreciating the surfing outings. 3. visiting the Island of Nair. 3. learning how to take photos and now, how to use a camera. 3. learning about many bird species that I didn’t know before. Our young champions from the camp Khaimaazrakh are cleaning the beach of Iwik. Ten children amongst them six boys and four girls, who benefited from the awareness program "to explore the beautiful National Park of Banc d'Arguin (PNBA)", participated from the 3rd to the 11th of September in a summer camp in the village of Iwik. These were the ten best children chosen from the discovery program who had been selected from the four schools in the villages of Iwik, Mamghar, Rgueiba and Teichott in the PNBA. The aim of this camp was to deepen the children's knowledge on the fauna, flora, and human activities in the PNBA – knowledge that they had acquired during the discovery program. The summer camp also aimed at incorporating an innovative activity into the Park’s program; a photojournalism training that was the main activity of this event. The training was provided by professional photographer Jean François Hellio. This training was to help the children appreciate their natural and cultural environment using a multimedia tool. The outcome is the possibility of telling a story through images while focusing on the preservation of their cultural and natural heritage. 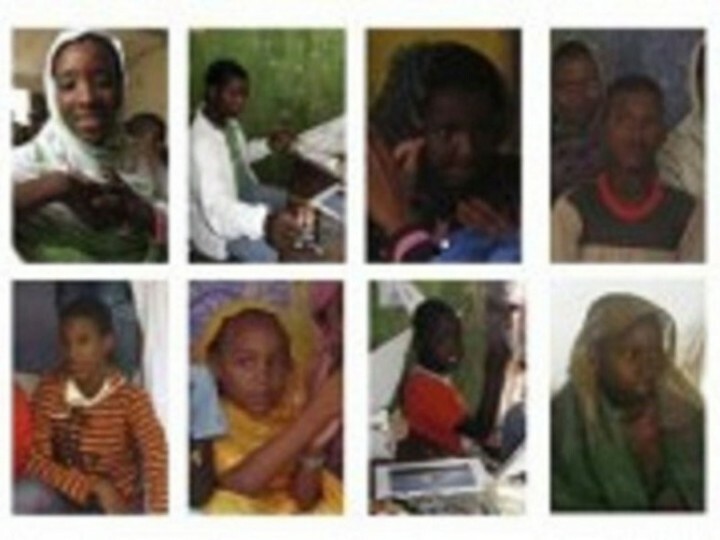 During the nine days, the children successively discovered photography materials while learning the different uses of a camera and various techniques of taking pictures and writing captions for their pictures. Under the supervision of eco-guides from the Association of Friends of the Banc d’Arguin (AABA) and the senior staff of the PNBA, the children participated in various activities such as bird watching, cleaning, and sea trips. During these discovery activities, the children kept on practising their acquired knowledge in photojournalism. In addition, a drawing workshop was organized and facilitated by two painters, Isabel Fiadeiro and Oumar Ball. At the end of the summer camp, two champions emerged from the training, a girl and a boy. A certificate of participation was issued to each child attesting to their training in photojournalism. Soon, we will be publishing photos of our young photo jurnalists for nature. On behalf of the Imraguen Children we would like to thank the eleven donors who contribute to strengthen the future guardians of the National Park Banc d'Arguin. In 8 days we will close the fundraising for the photo-journalism workshop for our young champions from the National Park Banc d’Arguin, which is co-organized with the French wildlife photographer Jean Francois Hellio. If you want to “invest” in future guardians of the Park’s natural resources and its ecosystems, don’t miss the opportunity and support this project, donate now! Located in Mauritania, the National Park of Banc d’Arguin covers 12,000 km2, an area comparable to the territory of the Gambia, or 5 times the size of Luxembourg! Half land, half sea, the park is classified as a world heritage site by UNESCO, and is one of the most important in Africa. Dunes, mangroves, mud flats, reliefs or sand plains, the fascinating diversity of the Banc d’Arguin’s landscapes abounds with animal life. The Park is home to over 2 million migratory birds from northern Europe. The Banc d’Arguin waters are some of the world’s richest fish waters. This rich biodiversity has been preserved thanks in particular to the Imraguen community, the fishing peoples inhabiting the Banc d’Arguin for centuries and the only authorized to use the Park’s natural resources. They are the guardians of the Park. The Park’s natural resources and its ecosystems are threatened by overfishing, human development and climactic changes. The Imraguen children, the champions of the project, will become photojournalists of their day to day life within a protected site: through images they will showcase their own “view” on the Park’s biodiversity and the challenges to protect it. Join the Imraguen children of the National Park of Banc d’Arguin in discovering and sharing their natural and cultural heritage. Contribute to strengthen the future guardians of the Park’s rich ecosystems! 1. We can buy the digital cameras and the solar chargers at a cheaper price than planned. Today the total project budget is of 1.500 euros instead of previously 2.500 euros. 2. Our ecopartner, la FIBA, decided to contribute 1.000 euros to the project budget. There are only 85 left for fundraising in the next final 8 days: hurry-up ! This rich biodiversity of the National Park of Banc d’Arguinhas been preserved thanks in particular to the Imraguen community, the fishing peoples inhabiting the Banc d’Arguin for centuries and the only authorized to use the Park’s natural resources. They are the guardians of the Park. They founded the Association of Friends of the PNBA to defend the totality of the Park’s natural resources and its ecosystems, threatened by overfishing, human development and climactic changes. They like to transmit their traditional values and knowledge to their children, so they become the future guardians of the Park alike their ancestors. Therefore, for the first time, the Imraguen organize this year a summer camp for their children called "the blue tent" - "khaimaazrakh" offering them the discovery of Park’s littoral. Join them by supporting the Khaimaazrakh project !